The Tata Group's history with the Defence sector goes back to the 1940s when the Group supplied armoured steel to support the World War II effort. The Tata Group also developed a Wheeled Armoured Carrier - Indian Pattern or ACV-IP, better known as the 'Tatanagar'. From India’s independence in 1947 till 2005, the group has contributed to serving India's defence needs in the mobility segment through Tata Motors. In recent years, Tata Motors has made a strategic shift from the Logistic vehicles space to the Combat vehicle space by focusing on development of contemporary state-of-the-art combat vehicle platforms (Tracked & Wheeled); with the dual purpose of empowering India's Defence Forces with breakthrough technologies and increasing the nation’s self-reliance in this critical area. The idea is to ensure high mobility, fire power and protection to the forces for their various missions by developing world-class armored fighting vehicles. Tata Motors is the first private sector OEM in India which has developed WhAP (Wheeled Armored Amphibious Platform), an Infantry Combat Vehicle, designed for optimised survivability, all-terrain performance and increased lethality jointly with the Indian Defence Research and Development Organisation (DRDO). Tata Motors has also developed the Light Armored Multi-role Vehicle (LAMV), a reconnaissance vehicle that combines vital operational prerequisites of mobility, protection and firepower in association with the Ordnance Factory Board. 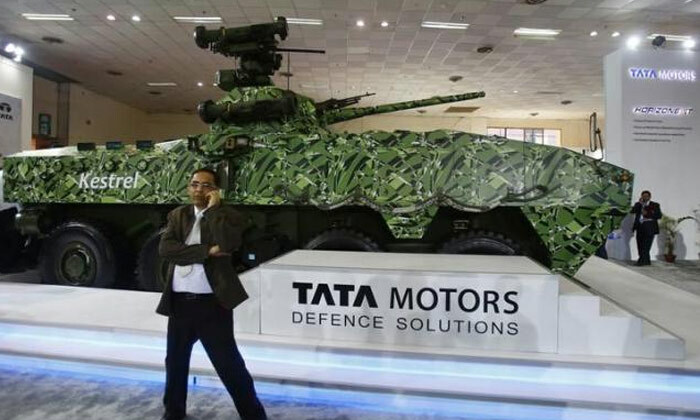 Further through its fully owned subsidiaries - TAL Manufacturing Solutions (TAL), Jaguar Land Rover (JLR) and Tata Technologies Ltd (TTL), Tata Motors has evolved to become a formidable force operating in the Defence Sector. 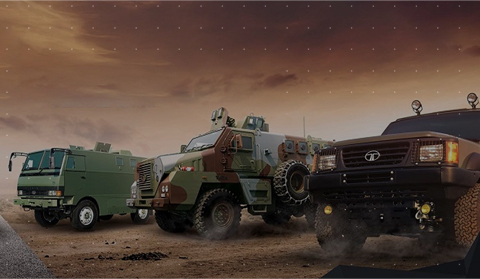 With a wide range of products operating across the entire military spectrum – from Logistics to front-line Combat, Tata Motors today is the largest private sector mobility player in the Defence space in India. Our mobility solutions portfolio has grown from strength to strength to include all classes of vehicles - from light to heavy and across the entire Defence, Paramilitary and Police mobility segment. 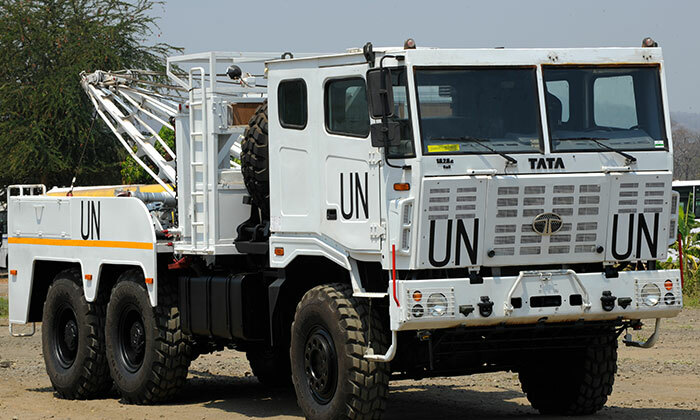 Tata Motors has supplied over 100,000+ vehicles to various Paramilitary & State Police forces and is the only OEM having the widest range of vehicles available in over 10 DGS&D Rate Contracts. Tata Motors is proud of its association with the Paramilitary & Police forces and keeps continually improving & innovating products that cater to the forces specific mission requirements. 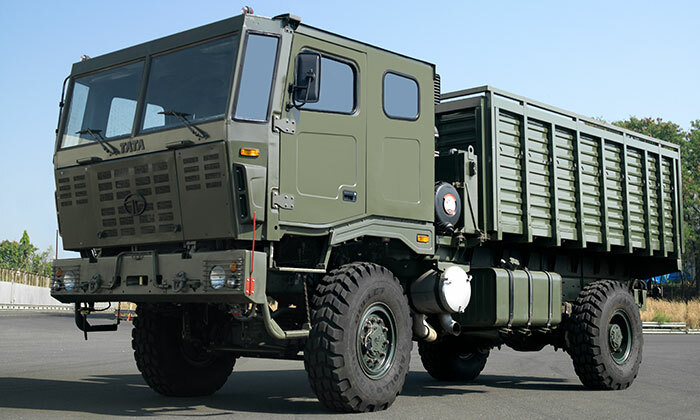 In addition to being a leading supplier of mobility solutions to the Indian Army, Navy, Air Force and various Paramilitary forces, the company also exports its range of specialized Defence vehicles to SAARC, ASEAN, African nations and the UN peacekeeping forces in conflict zones in Africa. Tata Motors plans to double the revenue from its defence business over the next three years to $600 ..
RT @ClimateGroup: \India is tropical, makes sense to use solar. Companies should take action now, re ..
Let's hear what M Sangeeth Kumar, Ganesh Agencies & Guhan Gas Service, has to say about his journey ..
Let's hear what Libin, A&M Roadlines, has to say about his journey with the Tata 407 on its 30th yea ..